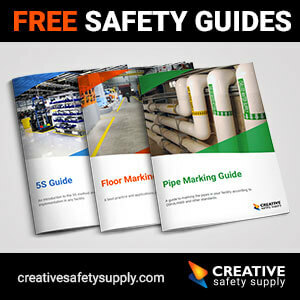 For the past few years, we’ve had the pleasure of holding our Creative Safety Supply scholarship competition. During this time, it’s been an honor to read about the experiences of a large, diverse swath of American students. For the Spring 2019 contest, the hundreds of submissions revealed a generation of scholars who are working hard in very different ways to change the world. We read about students who want to bring sustainable energy to developing countries, teach community theater in underserved communities, improve the treatment of livestock, end our dependency on fossil fuels, and a hundred other ways to make the world a better, brighter place to live. Though it was difficult to select a winner from such a strong candidate pool, we’re happy to announce that the winner of our Spring 2019 Creative Safety Supply scholarship competition is Raimy Khalife-Hamdan of Portland, OR! Raimy’s career path is informed by her love of languages and her passion for peace in the North Africa and the Middle East. 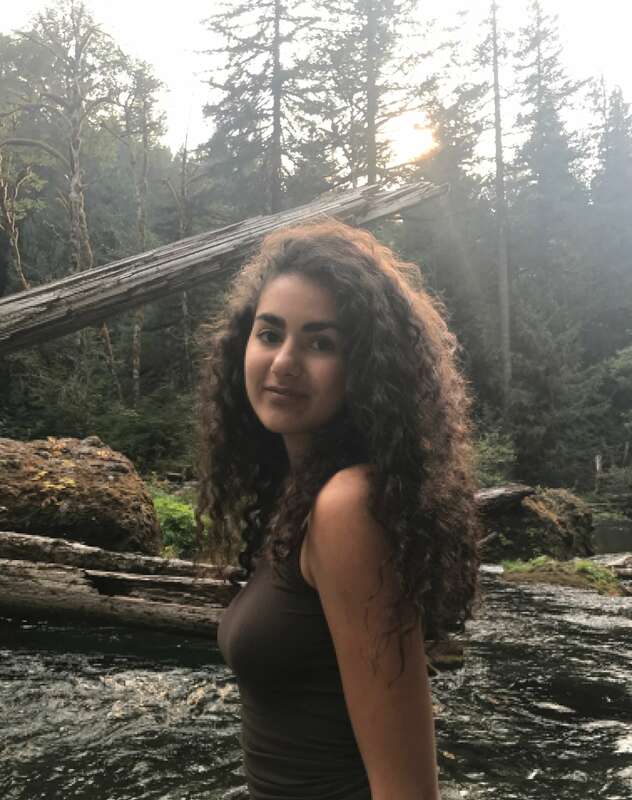 Although Raimy is just in her first year of college, she’s already began using her talents for good by volunteering with the Digital Youth Leadership Exchange Program and the World Affairs Council of Oregon. Peace is beautiful, complex, and personal. While it seems reckless and overwhelming, there is hidden peace woven throughout Earth’s narrative. Earth is not homogenous; she erupts with stories, culture, and historical conflict. I have witnessed Earth’s stories through reading, writing, and human connection. I follow, always, my instincts. Selecting my majors was not a difficult process, because I knew what makes me feel alive. I am in love with the world, in a deep and metaphorical sense. I love language, culture, and geography. I am an International Relations and Romance Language double-major, minoring in Peace Studies. I hope to eventually work with international non-profits, particularly supporting children globally. Additionally, I always want to be a scholar and researcher. In the past couple years, I have intensely studied and researched religious coexistence in the Middle East and North Africa, and know that these are the areas in which I want to work. Of course, I do not know the specific career I will take on, but for now, I feel satisfied and inspired by my decisions and aspirations for the future. In the end, I sought the path that sparked freedom within me. The community I deserve is the one that I have helped build. These words resonate within me as I make day to day decisions. I hope to build communities into the world with immense compassion and peaceful dialogue. The community I strive to create is one of awareness, cultural appreciation, and genuine scholarship. I do not strive for any economic success; money has never drawn me, and I do not mean to sound humble in those words. What attracts me is the hum of laughter, the stream of tears, and the wails of a newborn child. I am attracted to humanity. In such a globalized and chaotic world, communication and collaboration are necessities. This is why I study language. Besides English, I speak Arabic, French, and Spanish fluently. The way to connect with a community and gain its trust is to speak that community’s language and understand its culture. Cross-cultural communication is essential today, and I want to deliver to the world’s necessities. I hope to merge my two majors, while working with non-profits globally, into a lifelong practice of learning people’s stories through their maternal languages and cultures. I am plural in my identity, passions, and values. I want to interact with the world to gain a mature understanding of how my values fit contextually within the greater universe. I want to build communities throughout the globe. My overall goal in life is to create and help achieve peace, both on an individual scale but also internationally. Coexistence is possible. It will flourish. My academic and personal goals, to begin, are deeply woven together; neither is a temporary aspect of my life. Of course, on the surface, I hope to succeed academically and to pursue a career that satisfies me, but on a deeper level, I hope to dedicate my life to learning language and cross-cultural communication. These academic goals overlap with my personal goals. I want to explore, write, and find freedom. My deepest objective in life is to connect with the world intimately, and for this experience to humble me in my academia. Creative thinking, to me, equates to the act of thinking with wisdom and profoundness. To achieve creativity, one must achieve an understanding of knowledge and genuine curiosity. For me, creativity is not fake. It flourishes within me and takes over my being. Creative thinking and problem solving occur naturally. For instance, as I have mentioned before, I have dedicated a lot of my scholarship to the research of coexistence between religious minorities in the Middle East and North African region. This was not a simple research project and it was also an extensive and complex one. It required careful thought and enormous sums of reading. My creative thinking began from the start: I dedicated myself to finding other sources than written texts. I found myself driving around Oregon from university to university, asking professors and experienced researchers for their advice. The idea of peace, and how to achieve peace, was incredibly tangled and seemingly unsolvable. How can coexistence be achieved in such a stiff world? My creative solution was simple but deep… I decided to talk to people directly. Books, professors, and film can only offer so much, but there comes a time in research when one must hear from the subject directly. And so, through many contacts, I began to Skype professors and ordinary people from the Middle East and North Africa, asking them for their perspectives on peace and its complications. Creative thinking does not have to be complicated or incredibly artistic. I am neither a technical nor an artistic person, but I would still consider myself creative. In terms of “problem solving,” I am a conscientious person. I am a deep-thinker. My academic concentrations and my career goals all include an emphasis on communication and collaboration. As I began to pick my classes, my major, and my overall life’s direction, I let my creativity speak to me. Life’s narrative is linear and steady, but people branch away from it. I decided to, too. Creative thinking and problem solving are interwoven. There is not one without the other. When I am being creative, I am standing against normality. I am pushing against life’s linear narrative. I am thinking with more depth and for myself. As I try to think ‘creatively,’ I find myself surrounded with possibilities and potentiality. Problem solving usually comes next. This does not necessarily have to be an enormous gesture or ingenious plan. Problem solving is the force that ties creative thinking together. For me, creativity is a state of calmness, passion, and genuine understanding. It is a state of clarity. On a both an academic and personal level, I have always wanted to work with intercultural connection. I have, in the past, participated in online exchanges such as the Digital Youth Leadership Exchange Program, where I met a lot of wonderful Iraqi students. I have also been thinking about Cuba a lot recently, particularly in my Spanish and International Studies classes. I want to blend these two concepts together. Keeping in mind the state that Cuba is in today, and the past long-term restrictions on the country, I decided to begin creating some sort of youth exchange (either through a digital or written pen-pal form) to connect Cuban youth to American youth. This project has sparked me and I have been thinking very deeply about it. This project has barely begun! And yet, already, I have been researching and finding creative ways to plan it out. And I know a lot of problem solving is ahead. But I trust myself, and I trust the creativity that flows through every being. We are made to think, feel, and act. These are the principles of creativity. Creative thinking is a constant state, within all of us, to which we reconnect particularly when we are in spaces of passion. As the winner of Creative Safety Supply’s 2018 Fall Scholarship, Raimy will receive $1,000 toward her continuing education. We couldn’t be happier to assist her efforts to improve the world. We’re grateful to everyone who applied for this scholarship, and we invite everyone who did not win to apply for our future scholarships. We host two scholarship contests each year, and the deadline for our next scholarship award ends on July 15, 2019. If you or someone you know is attending an institute of higher learning, have a look at our scholarship page, where you will find all of the information necessary to apply.